Home›Features›The Big Book of Hair Metal, from Legendary Rock Author Martin Popoff! 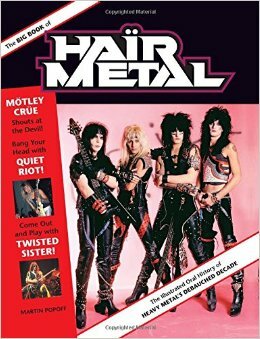 The Big Book of Hair Metal, written by Martin Popoff, was released on August 15, 2014. One of the leading journalists/reviewers in the world of music is Martin Popoff. Having been active for many decades, this is a man whose work has appeared in no shortage of publications. 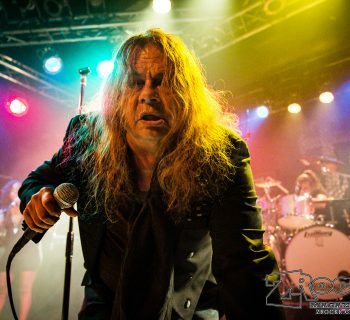 Furthermore, Popoff himself has published a number of books over the years, putting his knowledge and views on the world of hard rock and heavy metal to good use. He has even contributed to a number of video documentary series on his preferred musical genres. The Big Book of Hair Metal – The Illustrated Oral History of Heavy Metal’s Debauched Decade, is his latest book release. Despite my love of hard rock and heavy metal, I will be the first to admit that I did not discover Popoff’s writing until only a few months ago. Nonetheless, I have loved some of the things I have read from this man, even if I do not fully agree with all of his criticisms and the like. Of course, anyone who knows this rock and roll fan knows that I am a huge fan of the Decade of Decadence and the hair/glam movement and related works. In fact, for those not familiar with me, I have even written (and self published) books on the same subject. 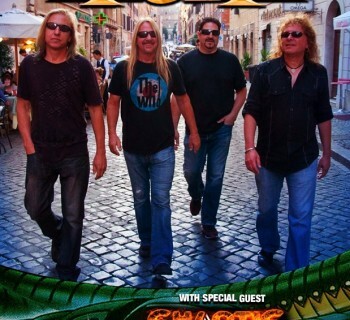 With a number of the players from this area now residing in the Las Vegas Valley, and even more visiting and playing regularly, it is an era in rock and roll that has taken on a very special meaning for me, even if I am younger than the typical fan. The Big Book of Hair Metal is, essentially, exactly what it makes itself out to be. This is a look back at that much cherished decade in the eyes of many a rock and roller, presented in a “timeline” format of sorts. The book contains an introduction from Popoff, a few brief sections on early influences of the glam metal era (50s, 60s, 70s) from both stylistic and musical points of view, and covers each and every year from 1980-1991. The sections include band photos, album cover art/promotional ads/artwork/tickets and passes, excerpts from interviews with musicians/management/critics/record company employees, etc. and others, and a number of other interesting pieces of content. All visual content is in color (except where it was not originally in color otherwise). The book is approximately 220 pages total. 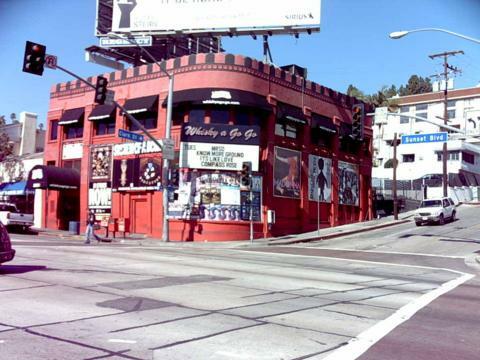 Hair Metal Mecca- Doesn't matter who is playing or what color they have it painted now, The Whisky A Go Go on the Sunset Strip in Hollywood is a photo op stop for all who love Hair Metal- Such bands as Motley Crue, Ratt, Stryper, Dokken, Poison, and many many more have graced it's stage at one time or another. The Big Book of Hair Metal is solid, entertaining reading for any fan of these bands, and should not fail to please. Popoff definitely knows his stuff, and has a great way of getting it out there in the form of this book. The photos and interview excerpts are all great, but what really helps this book to stand out is the unique “timeline” style in which everything is laid out. This way, you truly get to experience the rise and fall of this music, and all of the highs and lows in between. It is tough to find the right balance between information and visuals in a book such as this, but the end results speak for themselves, and will be ideal for any fan. There really are no major complaints to be made here; this is a book that accomplishes what it sets out to do. New fans looking to learn about these artists will get something of an introduction to them, while even the biggest of fans will still be able to learn something new about it all. There is no overemphasis of any one particular band; everything tends to be fairly well balanced throughout. Of course, there is the occasional spelling error or overlong interview excerpt that seems to drag on slightly longer than needed, but these are minor nitpicks in an otherwise excellent product, which features a fantastic presentation. This book comes strongly recommended. Featuring rare interview clips with countless people in the music industry (including a few that are no longer with us) and plenty of information and rare photos, it is a dream come true for fans. Should you be into any of the bands from this era, the Big Book of Hair Metal is going to be a worthy addition to your collection.